Australia-based and owned hotel management company StayWell Hospitality Group has opened the doors of the brand’s first European property, situated in Birmingham, England. Park Regis Birmingham is approximately two and a half hours drive northwest of London and brings the Sydney-based company’s international portfolio to 31 properties. StayWell Hospitality Group CEO Mr Simon Wan said that the opening of the European hotel is a strategic move for his company which owns high profile brands Park Regis and Leisure Inn hotels across Australia, Singapore, Indonesia, India, the United Kingdom and the United Arab Emirates. “The opening of our first European-based hotel in Birmingham aligns with our strategy of opening high-quality properties in cities which present optimum growth opportunities,” Mr Wan said. 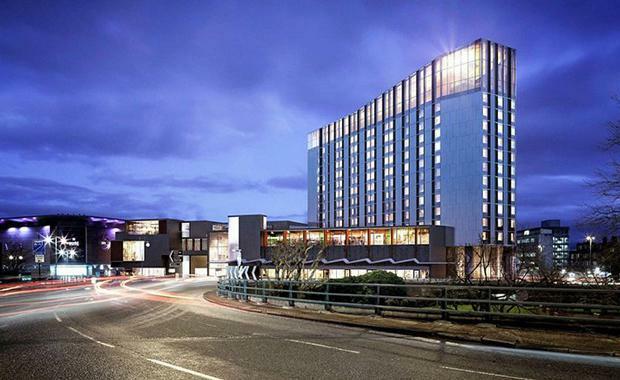 “Birmingham is a city flourishing following recent investment in transport and infrastructure and it provides a prime opportunity for a new prestigious hotel to service the city's increasing visitors. "The new upscale, deluxe hotel offers 253 well-appointed guestrooms, two junior suites and the largest presidential suite at 151.54 sqm in the city, setting Park Regis Birmingham as a destination for both leisure and business travellers. “The property, located in the former 1960’s office tower Auchinleck House on Broad Street, has received a £50 million renovation to transform it into a modern silver-clad hotel featuring an a la carte restaurant, as well as an impressive all glass sky bar conceptualised by former Ivy head chef Des McDonald,” Mr Wan said. The 16th floor Japanese izakaya-style restaurant, Rofuto sits alongside Kurabu Cocktail Lounge, providing 360 views of Birmingham. Additionally the hotel offers guests the convenience of Lobby Restaurant Bar and Terrace ‘1565’ which is open for breakfast, lunch or dinner. The hotel also boasts an executive level and a business lounge with check-in facilities as well as extensive conference facilities complete with five meeting spaces on a dedicated floor on level 15. In addition, Park Regis is also home to ‘Shakina’ Urban Spa, offering indulgent treatments in state of the art therapy rooms, as well as a fully equipped gym available for hotel residents.